Just a few hours after the 10K, the race results glared on the screen in front of me. Every single person who finished the race could be searched. From the winner all the way to the last person who crossed the finish line. Plugging in my name, I viewed my results. There in front of me I could see my total time and average pace. Just as I was starting to feel good about my accomplishment, I looked at the next column over and saw another set of numbers: Number in age group; my placement in that specific age group; my placement in the entire race. A lot of other women in my age bracket finished sooner than I did! Now I didn’t feel so good about my time. Shouldn’t I be able to run at a faster pace like these women my same age? Feelings of defeat washed over me. To make myself feel better, I searched the results of women 20 years older than me. Now as I scrolled through finish times longer than mine, I felt a sense of pride. Well, at least I beat these women. I didn’t come in last place. Unless we’re the first one to cross the finish line, there will always be someone faster than us. But if we focus on comparing ourselves to these people, we’ll be left with disappointment. The opposite is true as well. If we compare ourselves to slower runners just to feel better about ourselves, we get puffed up with pride and a false sense of security. In the same way, we sometimes mimic this behavior in other areas of our life. When we compare ourselves to people who are more successful, wiser and richer we find ourselves feeling defeated. I should be further along, like her. Before we know it, we continue the comparison game. To brush off these feelings, we turn our attention to those whom we feel are beneath us. Those who may be struggling in areas we are strong in. Those who are just beginning a journey we’ve been on for years. At least I’m better than those people. Oh how foolish we are to do both of these! Gazing at others ahead of us—through the lens of comparison—leaves us discontent. Looking at those who are struggling—through a lens of judgment— leaves us prideful. Instead of comparing, shouldn’t we focus on where we are? Shouldn’t we strive to live the life God has called us to? Using the gifts and talents He’s blessed us with to fulfill our purpose—instead of comparing them to others. When we stand before God one day we won’t be standing alongside anyone else. Each one of us must give an account for the life we lived. God won’t scroll through a list of people and say, Look, you should’ve done better than her. And he won’t say, Great job, you performed better than these other people. 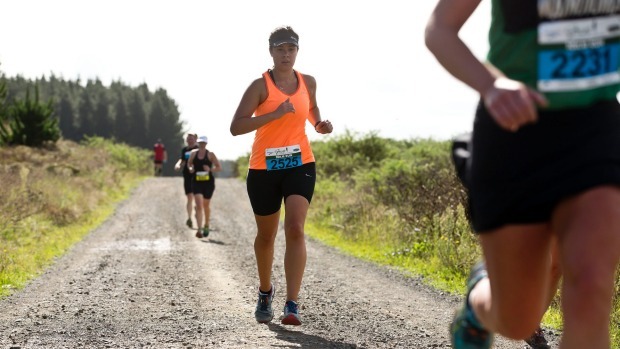 Most runners embrace a PR approach in races. Personal Record. Instead of comparing our finish time with other runners, we compare our finish time to our own time in a previous race. We attempt to beat our best time. The person we aim to compete with is ourselves. Maybe that’s how we should approach this journey of faith we’re on. Instead of comparing our lives to others, we focus on making progress with our own struggles. Instead of judging others, we embrace humility, thanking God for rescuing us from our previous ways of sin. And when we conquer one area of sin, He takes us further and shows us something else. READY? Can you identify an area of your life where you compare yourself to someone else? What effect does this have on you? Ask God to reveal a current struggle you need to commit to him. If you liked this devotion, check out my Book! So very well said!! Will definitely help me keep my journey in perspective! Thanks for stopping by! Hope you are encouraged. Praise God for His truth! Lisa, I so needed to read your words of encouragement this morning. I’ve felt myself going down this slippery slope the past couple of days. Thank you for helping me get back up and get back on track. Praise God! It’s so easy to fall into this comparison trap, Stacey! I find myself there way too much. So thankful God is patient with us and gently turns us back to him. Thanks for stopping by to comment, Leslie! Anything that encourages you on this blog, I point every bit of it to God! He is the one who opens my eyes to these parallels of truth. He gets ALL the glory! When you stand before God, you won’t be standing by anyone else. TRUTH! Love it Lisa. Thanks for stopping by Susan! Appreciate your encouraging words. We all need to be reminded of truth that comes from God alone. Blessings to you! Last night at our women’s Bible study, we talked about how God designed men and women differently to reflect different facets of God’s glory. It struck me that He designed each one of us that way – He is a multifaceted jewel, and each one of us is designed to bring out one small, unique aspect of His glory. Comparisons and trying to live up to others’ standards and accomplishments only detracts from His design for us and lessens the fullness of the picture we are meant to reflect to the world. Thank you for allowing Him to shine through you as you encourage others! Thanks Nancy for your kind words. Glad that this post encouraged you. Blessings to you!